As a store owner, knowing how much you sell each day is pivotal and that’s where Mage Sales comes in. The Mage Sales app is the best way to stay on top of the day’s sales revenue from your Magento store and know the most important stat there is for any e-store owner, right on your iPhones, anytime, anywhere! What’s New in the Version 2.1? 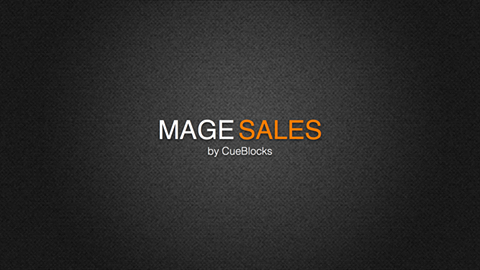 Mage Sales has only one focus – the sales figure of the day on your Magento online store. With Mage Sales 2.1, you can access the daily order sales figure or invoiced sales figure instantly. You can also switch between the different Magento store views and access their daily revenue as well. Know what results your marketing efforts and strategies bring this holiday season with the Mage Sales App – where your daily revenue is right where you want it, on your phone screens! Download the App from Apple Store here.